Calendula is the one of best natural acne treatment options. Anti-inflammatory and anti-bacterial properties of calendula is essential in acne treatment. 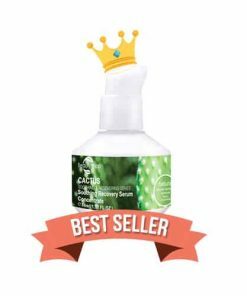 Studies showed that it has antimicrobial elements that stop the development of bacterial strains, while its antibacterial properties destroy the bacteria clogged in the skin pores. Calendula contains many nutrients and vitamins which improve metabolic processes in the skin and give healing properties. Calendula can contribute to the production of collagen thus stimulate natural skin restoration and immune function, and force the healing of acne flare ups. 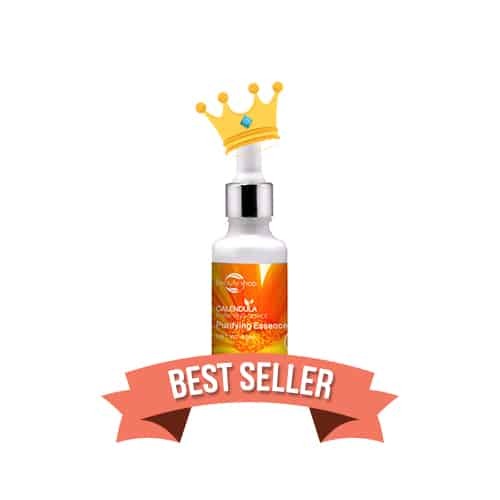 A highly concentrated serum that effectively balances oil secretion and sebum production, assists in unclogging pores and treating blackheads, whiteheads, spots and other acne-related blemishes, while hydrating the skin. Skin feels fresh, purified and hydrated! The one of best natural acne treatment options, its antibacterial properties destroy the bacteria clogged in the skin pores. 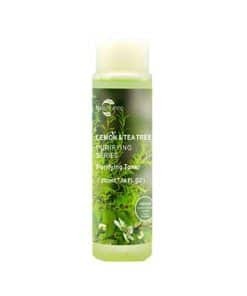 Improves the elasticity, suppleness and moisture levels of the skin overall. Its super-sized hydrating properties result in smoother, softer skin with decreased wrinkles and an all-around fuller appearance. Extracts of a comfrey plant. It softens the skin and enables it to absorb more moisture. A nutrient in the Vitamin B complex. Plays an important part in the health of cell membranes, regulates the contents of the cells, making effective functioning possible. Combination of two amino acids (alanine and histidine). It helps to flush toxins, it has immune boosting properties; Most interestingly, it has been claimed that it can extend the Hayflick Limit (skin cells can only reproduce themselves around 52 times until they “die.” Carnosine extends their ability to reproduce to just over 60 times, making it a real anti-ager). 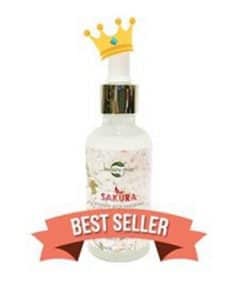 Effective in preventing dryness and protecting and reinforcing skin’s protective barrier. Squeeze a small dose onto fingertips and massage gently over face and neck area. Use morning and evening before moisturising.